3. Raw data output: CIE Lab, CIE Luv, CIE XYZ, Lab LCH where CIE Lab and Lab LCH are primary sources for this study. The paper properties listed in this experiment were opacity (Opacity, %), whiteness (Brightness, %), and glossiness (Gloss, %) or more were the average values â€‹â€‹of duplicate measurements from randomly sampled papers twice. From the above table, the A and B papers are glossy (multi-coating), so the opacity, whiteness and gloss are all higher, while the C and D papers are general ink-jets (less coating). Lower, the opacity is A>B>C>D, the whiteness is A>B>C>D, and the glossiness is A>B>D>C, so the opacity and whiteness can be grouped together. C paper has higher opacity and whiteness than D paper but lower gloss, so glossiness cannot be combined with opacity and whiteness. That is, if opacity is the influencing factor, whiteness is also one of the factors. The nature of the paper alone cannot be linked to the quality of the paper, so use LAB and LCH to measure the relationship. Since the inkjet printer used in the experiment has different color performance ranges for the CMYK color space and the RGB color space, so that the color difference range is different, the color difference range of the CMYK color space is in the range of 100% to 75% of the full plate concentration. 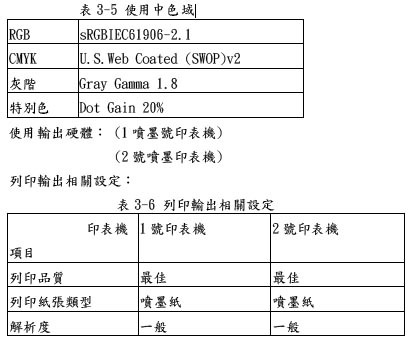 Between 35 and 5, the color difference of the RGB color gamut is between 80 and 30, and the color difference is mostly concentrated in the full plate concentration of 100 to 95%, and the color difference is at the lowest concentration of 95 to 75%.